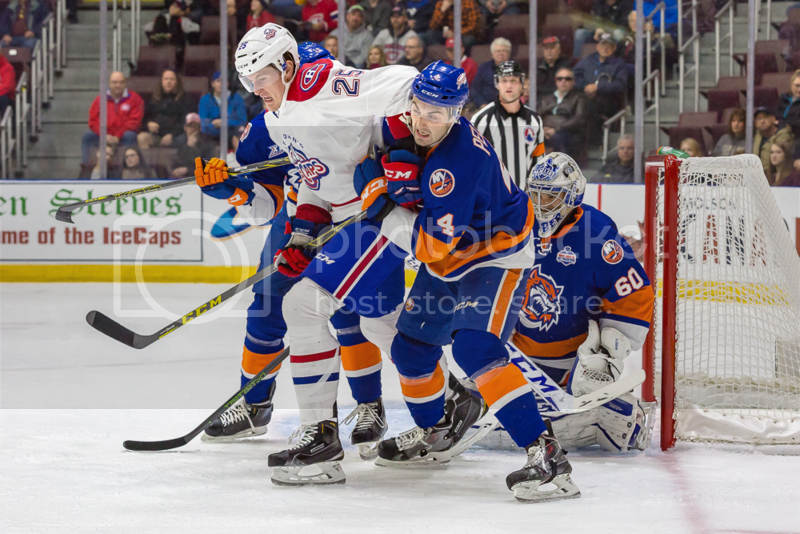 There was no score in the game heading into the 3rd period and the IceCaps were badly outplayed in the 2nd with much of the play being in the St. John's end of the rink. The IceCaps were out shot 17-2 in the 2nd period and 26-8 after two periods of play. Dustin Tokarski stood on his head and made save after save giving his team a chance to win, Tokarski made 35 saves on 37 shots and was the biggest reason why the Caps came away with a point. Mark Barberio scored the first IceCaps goal while Joe Whitney and Bracken Kearns netted the goals for the Sound Tigers. Both teams traded chances in overtime and then they went to the shootout where Connor Jones scored the winner (He was the 9th Bridgeport shooter). “We didn’t get the entire job done but we got 10 points (in 6 games) and just missed out on two, so overall, we had a good home stand,” said McCarron. When asked what advice Marc Bergevin gave him before he was sent to St. John's, McCarron replied " Yeah, he told me I need to work on my body and to get faster and get stronger...that's what I need to do to get to the NHL."